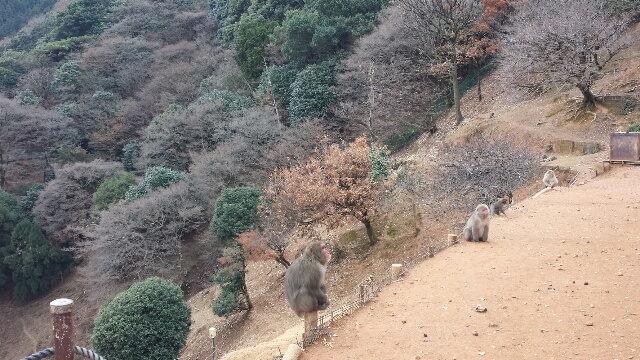 Mount Arashiyama in Kyoto is one such location for seeing Japanese macaques. 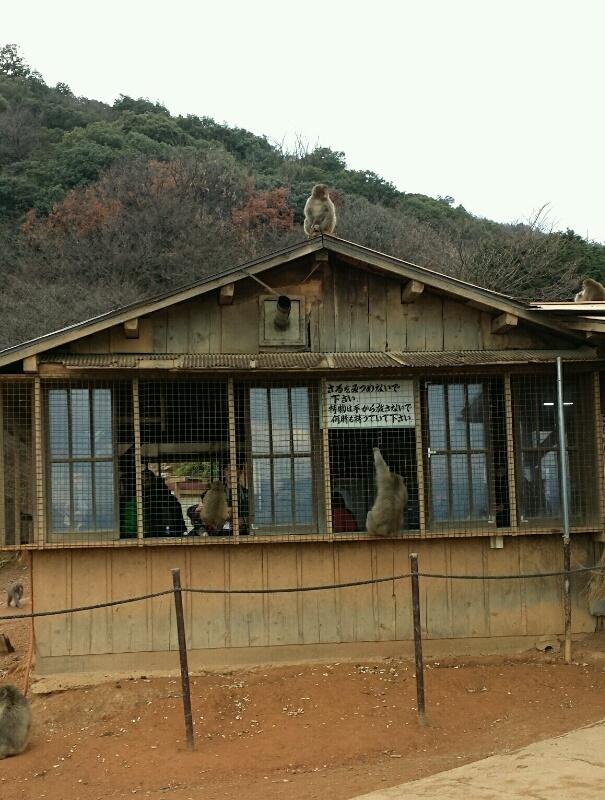 Referred to as the monkey park, this place is a great way for fellow primates to bond (humans and non-humans). These red-faced old world monkeys that reminded me of Borneo’s Proboscis monkeys are native to Japan, hence my interest in visiting them. 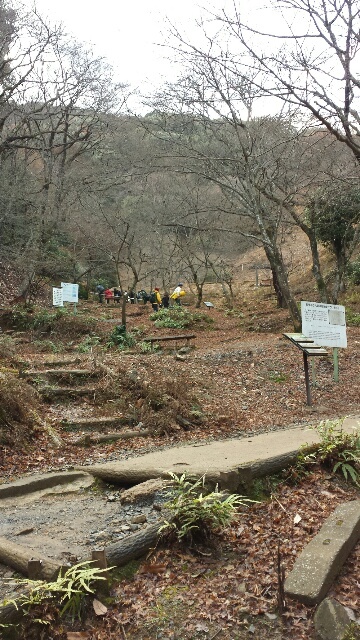 The walk up the mountain at winter, though chilly, is generally a short and pleasant hike as long as you’re fit. 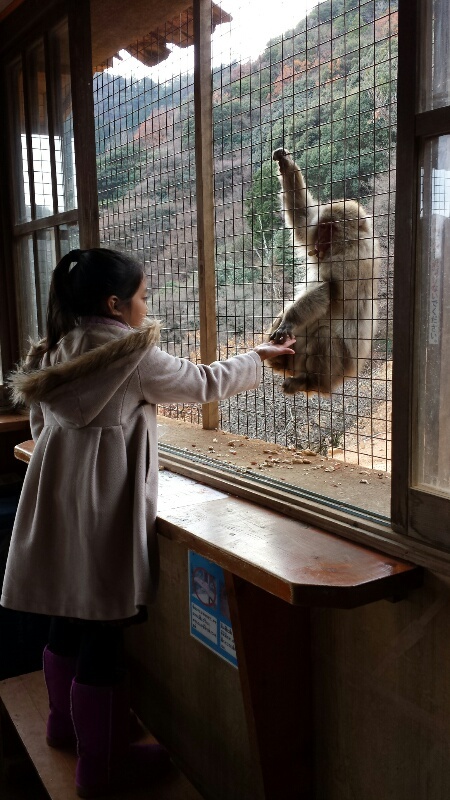 Interacting with the macaques can be brought to an intimate level wherein visitors are allowed to feed them by hand, provided that you are inside the cabin. 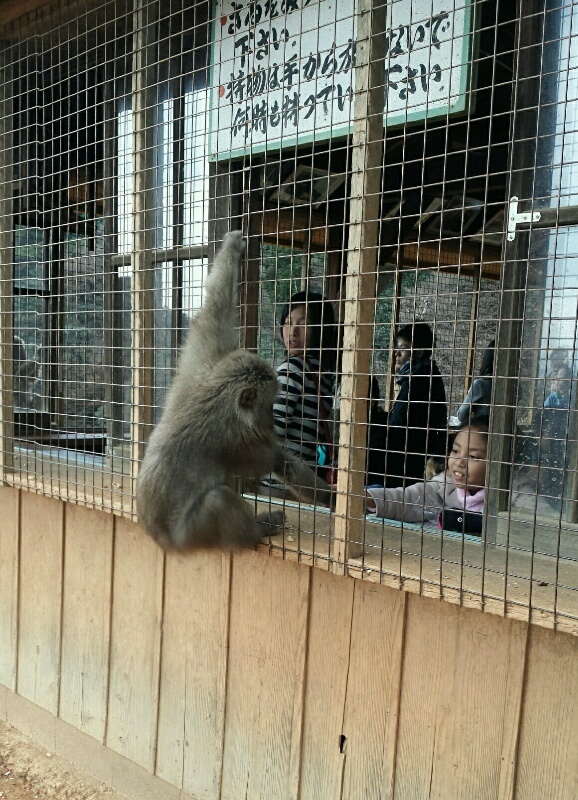 The idea is that the macaques can roam freely while the humans are caged. 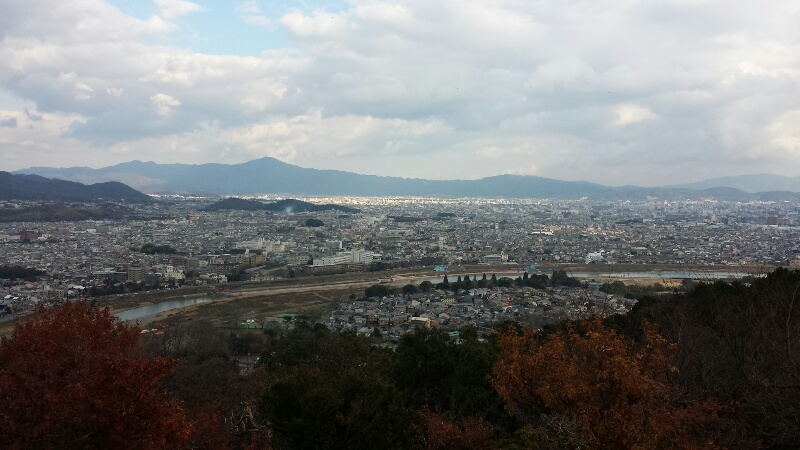 Other than meeting these relatively good looking fellows, the top view of Kyoto City from here which is as tall as the Kyoto Tower is my kind of high altitude sightseeing, that is, hiking up in a natural setting rather than riding up an elevator towards the roof of a skyscraper, or steel tower. Generally, no matter how grand those steel towers or glass skyscrapers are, and no matter where they are, I feel nothing for them. 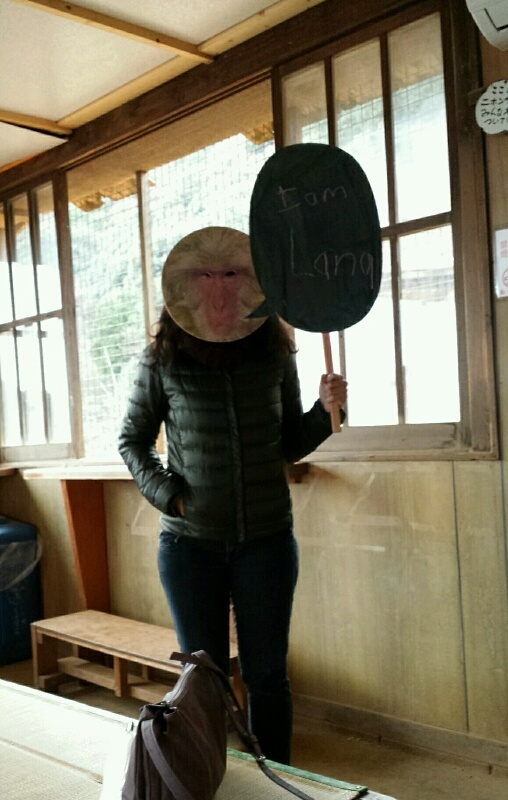 No fresh air, vegetation, earth, exercise and sometimes red-faced primates.